Find this year’s top-ranked Los Angeles hotel New Years events with our list of the city’s most celebratory soirees. We can’t think of a better place to party than in the city’s most popular and luxurious hotels: no need to find a designated driver, room service is available all night, and your bed is just steps away. Below we will tell you what each of our top-ranked Los Angeles hotel New Years events has planned for ringing 2017. Slip through the velvet rope of some of hottest hotels and New Years hotel happenings New Year’s Eve in Los Angeles. NYE AT HOLLYWOOD ROOSEVELT. An exclusive night of chic NYE revelry at its finest. New Year’s Eve at the Hollywood Roosevelt has it all. This lavish environment is sprawling yet intimate, historical yet modern. Historic, grand, and sophisticated. Glamour and glitz. Come one, come all. This NYE at the Roosevelt is going to be magical! Your NYE ticket purchase includes: ten world class DJs like DJ Chris Garcia, Andy Caldwell, DJ Five Star, Mr Fitz, & more TBA, five hour premium open bar (9pm-2am), four rooms of music, and one unforgettable NYE countdown celebration. Find out more about the Hollywood Roosevelt New Years. NYELECTRIC W HOLLYWOOD ROOFTOP.The party isn’t only inside the W Hollywood Hotel, it’s on the roof as well! The NYElectric W 2017 will takeover The Loft + Wet Deck of W Hollywood. Revel in 2017 with panoramic views of the city from the W Hollywood Rooftop– plus four hour premium open bar (10pm-2am), world class top DJs, amazing party favors, one unforgettable countdown. And, of course, young H-Wood star sightings are virtually assured. Find out more about NYElectric W Hollywood NYE. GATSBY NYE AT W HOLLYWOOD. Glamour. Bright lights. Red carpet. Amplify your NYE Party night out with the W Hollywood New Year’s Eve 2017. At the famous intersection of Hollywood and Vine, the 4th Annual Gatsby House NYE takes over the Great Rooms (Ballrooms) on the second level of W Hollywood Hotel. Get your drink at the Gatsby House with an awesome four hour premium open bar (10pm-2am). Dance away 2016 and into the New Year with the best of top 40, hip hop and house music delivered by multiple top DJs to include Dr. Coolwhip, DJ Prophet, Danny Olson, and more TBA. Flapper Roaring 20s theme encouraged, but not required. Find out more about Gatsby House W Hollywood 2017 New Years. NYE AT STK+W HOTEL Prepare to dance, dance, dance to the supremely sick spinning skills of Top DJ DiJiTAL and friends while indulging in a five hour premium open bar (9pm-2am), complimentary party hats and favors, unrivaled NYE party packages, and massive countdown celebration coupled with complimentary champagne toast at midnight to ring in 2017 at STK LA and W Los Angeles Hotel. Find out more about W Westwood Los Angeles New Years. NYE AT SOFITEL LUXURY HOTEL. Join us on the Riviera 31 as the French Inspired Hotel Sofitel hosts the largest New Year’s Party in Beverly Hills. Festivities kick off at 9 PM with a  top DJs,  areas to mingle,  rooms of music, and  Amazing Midnight Toast. 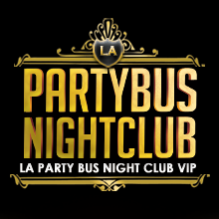 Additional party perks to include: outdoor smoking patio w/ heaters, VIP table service packages, multiple fully staffed cash bars, and tons of party favors with nearly 1000+ expected. Don’t miss the night all your friends will be talking about. Be a part of the story; be a part of the party, Midnight Toast NYE 2017 at Sofitel Luxury Hotel. Find out more about Midnight Toast NYE at Sofitel. NYE AT ABOVE SIXTY BEV HILLS. Ring in 2017 with a Midnight Kiss at Above Sixty, rooftop of SIXTY Beverly Hills Hotel. Indulge in five hour premium open bar (9pm-2am) and dance to top DJs spinning best of hip hop & top 40 at the critically acclaimed cinematic rooftop bar and poolside lounge. This New Year Eve, L.A.’s jet set is invited to champagne toast to the New Year overlooking the lights of the massive city or looking over the hot bodies that frequent this Beverly Hills hot spot rooftop. Experience NYE where California cool meets manicured elegance at Above 60, the premiere NYE nightlife destination for both locals and tourists alike.Find out more about Above 60 NYE 2017.